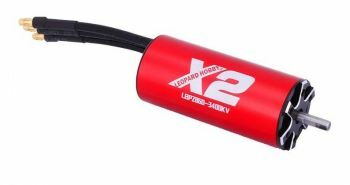 28mm Diameter by 64mm Long Brushless Motor by Leopard Power. Hand wound for high efficiency of up to 85%. Comes with high quality bearings and neodymium magnets for high power. Vent cutouts in the front and rear endbells allow air to circulate for additional cooling.